At the age of seven, a young girl finds herself lost in the vast forests of British Columbia. Stumbling across a shack, she attempts to steal some jerky and finds herself staring down the barrel of a gun. The gun belongs to a man she comes to know as Trapper, a man who teaches her everything she needs to know to survive in this harsh wilderness, a man she comes to think of as her father. When she is seventeen, Elka sees a Wanted poster in the local town, a charcoal drawing of a man called Kreagar Hallet, a man who looks uncannily like the one with whom she has lived for the past ten years. When she bumps into Magistrate Jennifer Lyon and discovers the horrific nature of Hallet’s crimes, Elka flees north, her only plan to find her parents, who left her as a young child, and to outrun Hallet and Lyon in the process. 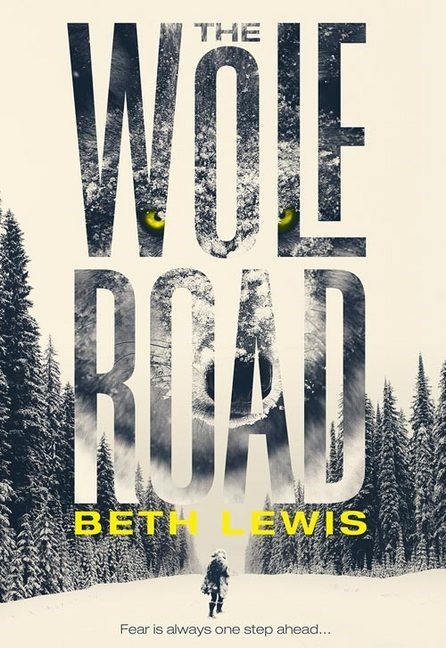 Beth Lewis’ debut novel, The Wolf Road has, from its opening pages, the feel of an old-fashioned Western, but it isn’t long before we understand the real setting: this is British Columbia, or BeeCee, in a future where wars have escalated to the point where nuclear weapons have been employed, and the world’s population all but wiped out in an event that is remembered as the Damn Stupid. But The Wolf Road is a story that could have taken place in any wilderness, at any time past or future; it’s a coming-of-age story wrapped up in a tale of survival against the odds, a story of family and identity. It’s a story with a huge heart in the form of its protagonist, Elka. Ain’t nothing in this world like it. Salt-cured, sliced thick, line a’ juicy fat crisping up in the pan. Anyone what tells you they don’t like bacon is either stupid or lying. Either way that ain’t no one you can trust.
) It is difficult to read The Wolf Road and not think of Mattie Ross, the precocious young girl at the heart of Charles Portis’ True Grit; it’s a comparison that sits well: while Elka has no Rooster Cogburn to help her on her way, she has the same determination and strength of spirit as her predecessor. As Elka’s journey north continues, Kreagar Hallet hot on her heels and Jennifer Lyon seemingly always one step ahead, she encounters a cast of characters that would strike fear into the strongest heart. There comes a point where the reader prays for the author to give this young girl a break, to allow her to run into someone without evil or nefarious intentions. With the exception of Penelope, whom Elka rescues from people traffickers, and who accompanies her north, the inhabitants of this post-apocalyptic world are a bitter and hardened lot, each out for their own best interests. At the core of Elka’s story is the realisation of who her protector is, and more importantly what he is. There are questions of Elka’s complicity in his crimes or whether she understood what he was doing and tried to hide it from herself. The reader has a fair idea of some of it from early in the proceedings when we catch a brief glimpse of Missy. But it isn’t until the novel is drawing to a close that we understand the full extent of his evil, and of the terrible things Elka has spent so long trying to forget. With five simple words, Lewis turns what we think we knew on its head and leaves us trying to pick up the pieces – not to mention our jaw – before we go any further. It’s a rare thing for me to become so engrossed in a story that a single sentence can feel like a punch in the gut, but Beth Lewis pulls it off admirably in one of the finest books I’ve read in a long time.